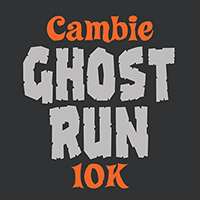 When Halloween falls on a Wednesday, naturally we at the Cambie Running Room want to dress up and celebrate with a Halloween-themed 10k run before eating all of Alex’s candy. Old school pixel art flows freely from Vancouver’s street grid, so what better way to trick or treat your way through ten kilometres than to run in the shape of a Pac Man ghost? When it’s not just me running these things solo, I aim for safety so I drew the route to minimize major road crossings, keeping the ghost between Cambie and Main, and between 2nd and 16th Avenues with only two crossings each of Broadway and 12th Avenue on proper, signalled crosswalks. Fewer major road crossings should lessen potential wait times at lights too. To limit crossings of Broadway, the route draws the top of the eyes north of Broadway to the crosswalk at Yukon first and then completes the bottom half of the eyes back to Main Street. The irises of the ghost’s eyes can be modified by changing where you run your 1-block by 2-block loops: make your ghost look sideways rather than slightly upward toward the Cambie Running Room by looping between 7th Ave and Broadway; look east rather than west by aligning the iris loops along Columbia and Quebec rather than Yukon and Manitoba; or do a combination to make the ghost cross-eyed; or do the opposite for that super scary Marty Feldman look. 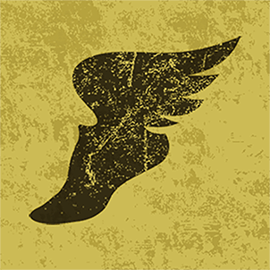 Gotta get back home to hand out candy ASAP or find the 10k route confusing? 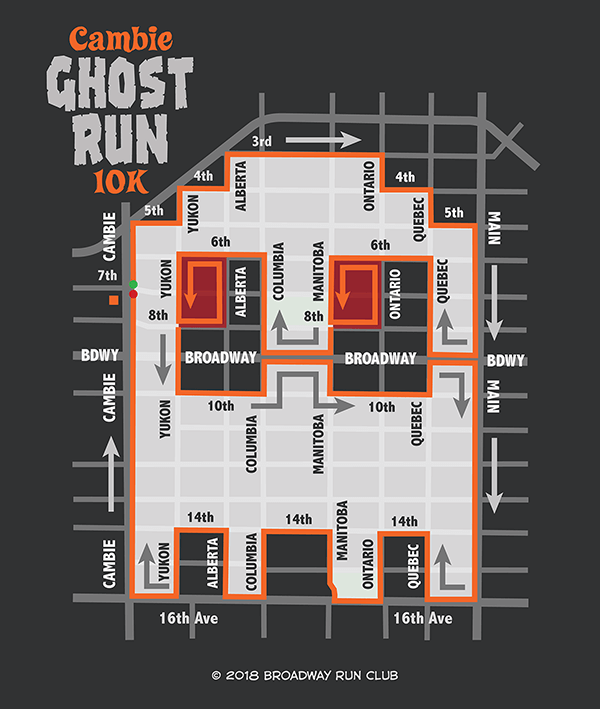 Skip the eyes and run the lower fringe zig-zag between 16th and 15th Avenues instead for the 5k Ghost Run.